The federal government, through the Minister of Education, Ruquayyatu Rufa’i, announced yesterday that every public university in Nigeria would receive N485 million as financial intervention for 2012. The money would be disbursed under the 2012 Tertiary Education Trust Fund (TETFund), and its part of federal government's commitment to better funding for the nation’s tertiary education sector. Hehehehehehehe.... Now Unilag name change issues will be swept firmly under the carpet. Is a lie. When i see it il believe you!!!! I hope they utilize the money well. in each state we have atleast 3 public institutions...if its multiplied by 36,it'ld give us 108 public institutions....and when we multiply dat by #485 million ur calculator ld give u sometin arnd 5,238,000,000...i guess its dia new means or choping d money....n dey jst increased our light bill o....what if these funds were used in providing social amenities 4 d masses who voted dem in...GOD BLESS NIGERIA,GOD BLESS NIGERIANS,GOD BLESS LINDA,GOD BLESS ME. Why are private universities not a part of this fund or they are not educating nigerians? Realy appreciate dat frm govt. Funny enof d authorities @ d top in dis unis wld embezzle them, then d next thing u hear is dat govt is nt fundin dis unis. May God help Nigeria. I guess that means they're going to reduce school fees right? this is like half of what GEJ has budgeted for his feeding for 2012. fresh air!! This is a big joke, compared to the 1bn Jonathan is using for feeding. Our country Nigeria could it be better than this. This money will still go into some pockets. The schools will be left with no light,water etc. The schools will remind the same.Our leaders should grow up. What of the light. when is the problem going to sloved. All i will keep on saying is we all have a part to play. @Anon 5:14, are u a CU student at aaall. How is that ur school? 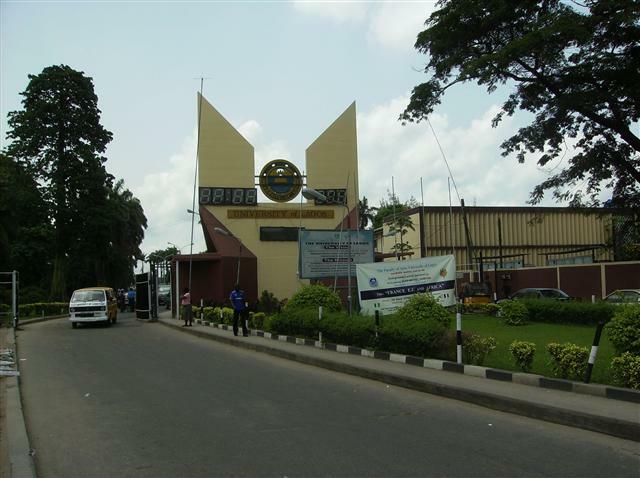 That is UNILAG 4 God's sake cept the picture was changed. Why should private Uni benefit frm the bounty? The charge enuf to be self reliant. U surely dont want to compare tuition of btwn 7-20k to 350 n above do u? I am so sure the big guns in the Education sector are dancin azonto. Lol. Wif d money dey mk frm school fees, trust me dey can take care of demselves. why is it paining @H see me o am i the federal gov that u should be vexing for..... if u are so vexed why not go up there and flog or slap them. it is well. :) glory!!! It is clear that most Nigerians are die-hard pessimist. If the FG doesn't release fund - problem. If they did - problem! Reminds me of d song by Ebenezer Obe. Scripture tells me that by the blessing of the upright, the city is exalted, but it is overthrown by the mouth of the wicked. Let us watch what we say, especially as many as claim they are Christian. It's not alie...these funds have been released annually even before GEJ...sadly TETFund (formerly ETF)is not permitted to "pokenose" too much. Monitoring, evaluation and annual OPEN reports are released bi-annually as well. The amount was increased last year to this current figures....not denying the corruption but you can ask around and see if TETFund has'nt been efficient and effective over the years. Lets try to be more open-minded. so that kain money dey naija?? screw the schools...let's sort out electricity, good roads, jobs for the already uneployed..not after all this money and they finish uni they wont even hv jobs...B.F.S!!! I pray and hope the money wuld be used for/in the schools & won't go elsewhere and headlines read ...Fraud later. I hope the money gets to my Nigeria students. i feel lyk robbin uniports share. If unsursecrupulours element people did not embensu the money, and federal govt please wat about polythecnics?